these cookies were amazing. 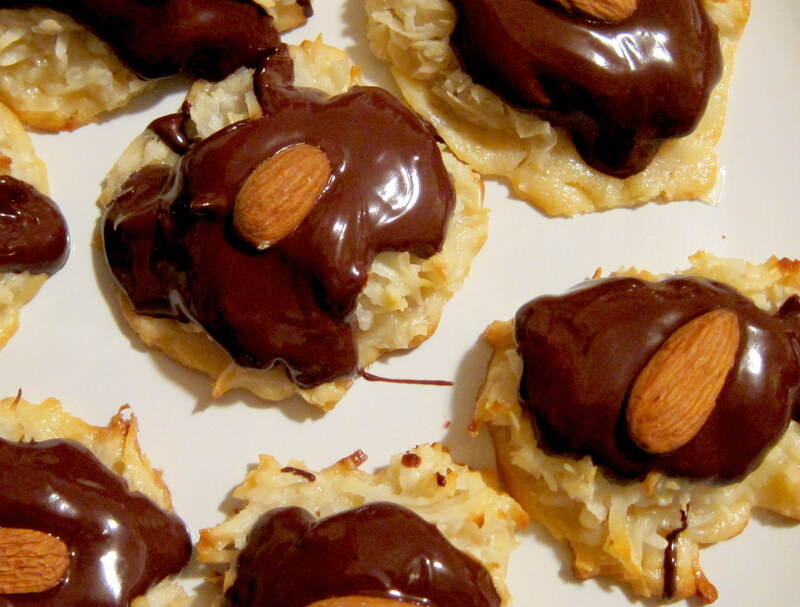 charlie has been craving coconut/almond joy like desserts and so i went shopping for recipes on pinterest. the recipe i used is here. but be warned, you will eat them all _ and they’re even better days later. we kept ours in the fridge. 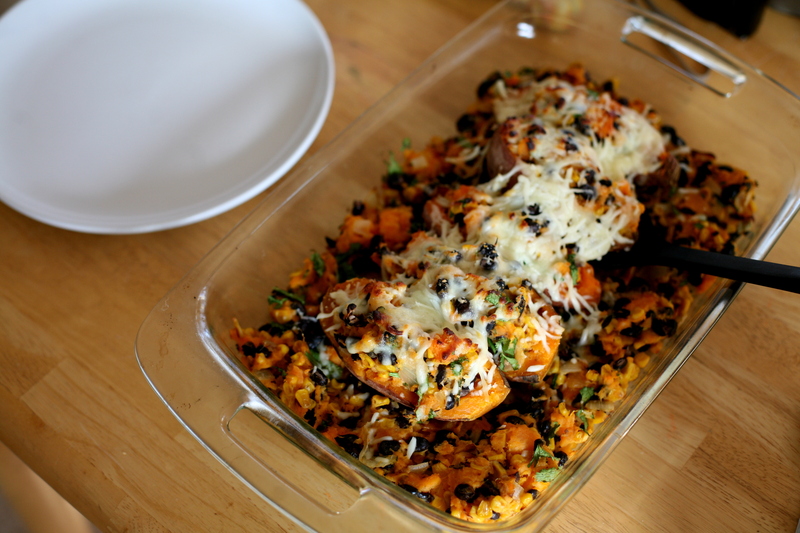 another pinterest recipe, you just bake sweet potatoes, cut them in half, and then hollow out most of the filling, mashing the potatoes then mixing them with black beans, onions and whatever else you like. top with cheese and then bake a little longer. amazing and healthy. another charlie request. i made chocolate covered pretzels over the holidays but we packaged and shipped most of them with presents we sent to our family. 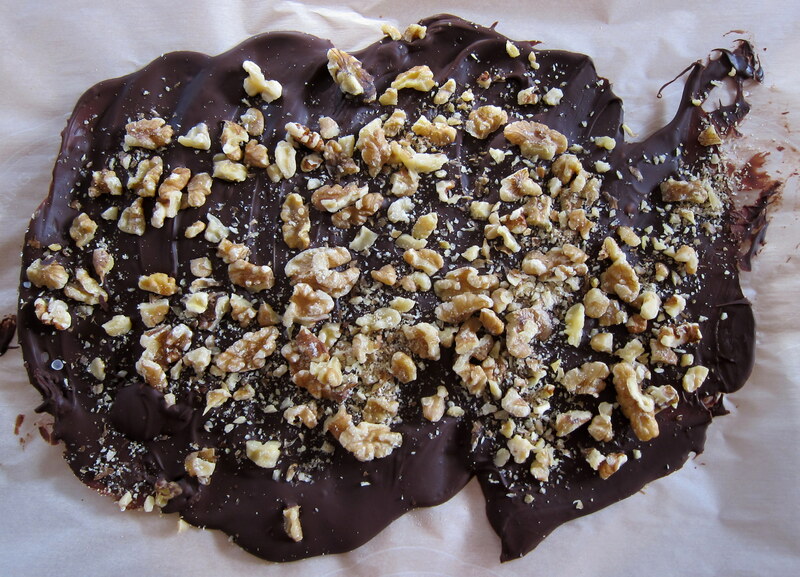 charlie was obsessed with the chocolate and so i made him some super easy chocolate bark with walnuts. i used a bag of semi-sweet chocolate chips, melting them in a glass bowl sitting in a pot of boiling water (if you melt the chips directly in the pan, they’ll stick like crazy and it just won’t work). 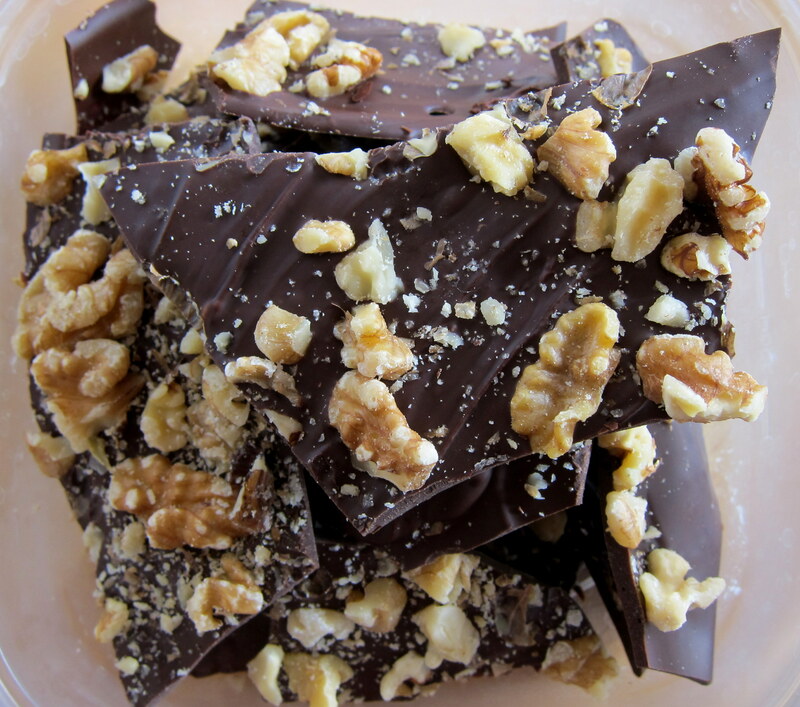 i poured out the melted chips over parchment paper and then drizzled the nuts on top. 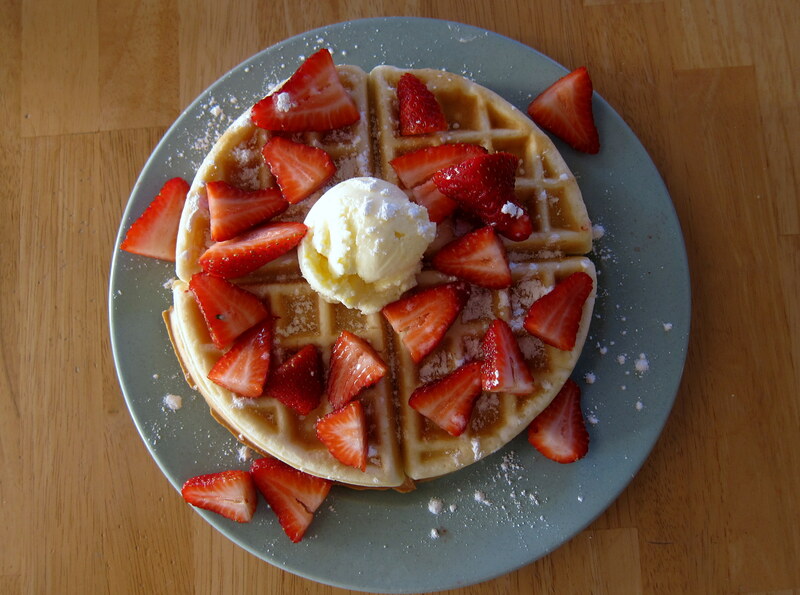 these are the waffles i made charlie for valentines day. i’m soooo happy with the waffle maker and it was only $20. i don’t know but something about lifting up the iron griddle and seeing this beautiful creation makes me feel like a gourmet baker … or a very sophisticated french woman who makes gorgeous food for her husband that she would never actually eat herself. 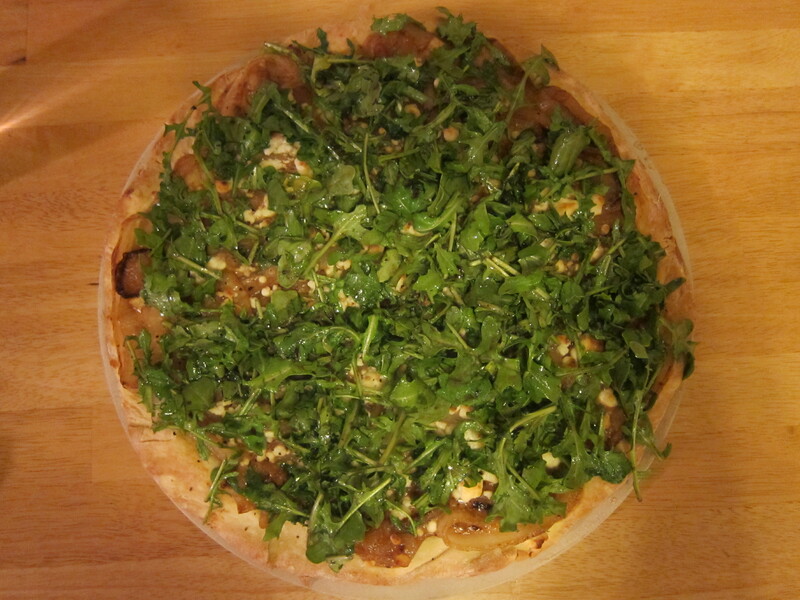 this is a pizza recipe i copied from a public television cooking show. you start by caramelizing about five cups of onions slowly, using medium-low heat (it takes about 20 minutes) and then mixing in a little cream ( i think the cooking show used heavy cream, but i improvised with a little alfredo sauce) you get this really creamy mixture that takes the place of your pizza sauce. 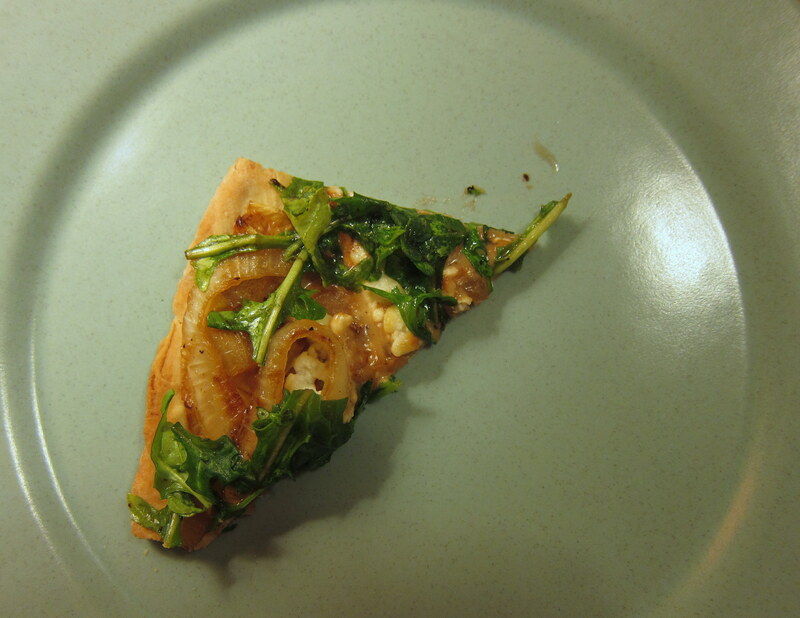 spread the onion mixture across your crust (the cooking show used a store-bought crust but i love, love the jiffy mixes and so that’s the crust i used) and then sprinkle goat cheese across your crust and bake for 12-15 minutes. meanwhile ( i love it, by the way, when recipes tell you to do something super complicated and then say “meanwhile” do this other super-complicated thing) you toss some arugala with balsamic dressing and spread it over your pizza. charlie and i devoured this.